Reiki is an amazing, non-invasive therapy that works similarly to acupuncture in that it rebalances, revitalizes and realigns the body by removing blocked or stagnant “chi” (energy). This energy comes directly from the highest spiritual Source and has its own intelligence ~ it knows exactly about the client’s issues and areas in need of assistance. The practitioner, who maintains his or her connection to the Source, is simply a “vessel” for this energy. 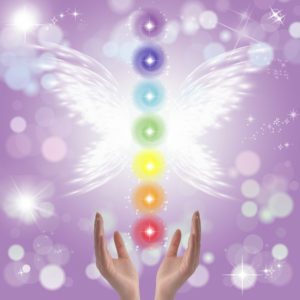 Since quantum physics states that we are all connected and that energy has no boundaries or limits, Reiki may be sent remotely with equal, or at times reportedly better, results as a session in person. The body’s innate healing potential is stimulated when the individual is completely relaxed ~ Reiki facilitates this relaxation. When our body experiences long-term or chronic stress, it may be challenging for the individual to relax. Therefore, it may take more than one session to achieve your goal. The results of Reiki are cumulative and some benefits are often noted after the first session or two, depending on the individual’s baseline state of well-being.